Can the initial design be improved? What happens if it drops from 1 m? Or from 2 m, or 10 m? Will it leak? Will it be sufficiently safe? Will it satisfy the requirements? Will it pass the certification tests? What if it is used outside the specified range of conditions? How long will it last? Can it be made more durable? 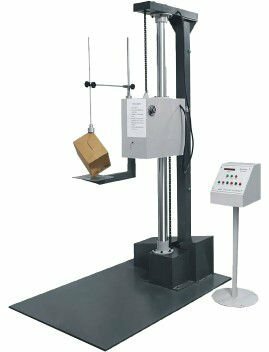 Using lighter materials, will performance be impaired? And with cheaper ones? The classical approach for dealing with those and many other questions is not very practical: based on an initial tentative design, a prototype is built (expensive) and physically tested (again expensive), usually over a considerable time period (weeks or months), with specific laboratory equipment for each type of test, to produce partial information about the performance (the results are of the pass/fail type and do not clarify why this is so). This information is then used to modify the design and start a new series of iterations (progressively more expensive) until the desired product has apparently been achieved. Realistic simulation provides an innovative alternative for optimising that process. Using a virtual representation of the world, it is possible to reproduce what happens with our products, no matter the industrial sector or company size, thereby greatly reducing the costs of testing since no iterative prototyping is required; a large number of analyses can be conducted, in a few hours and with low costs, simply using a computer with the right software. And, more important, the results are not limited to saying what happens, they also say why. Of course, CAE tools must be employed and this may suggest that only qualified engineers and developers can use them. But this is no longer the case: modern software packages, such as those integrated in Dassault Systèmes’ 3DEXPERIENCE platform, have simplified the access to CAE so that it can be used by expert engineers and specialists, as well as by designers with only basic notions, as a function of the characteristics of the problem to be solved. And why is it important for designers to have access to virtual simulation analyses? Precisely to avoid the multiple iterations that the traditional design process entails, caused by the lack of immediate feedback about the process. When the basic decisions about geometry, materials, system configuration, or manufacturing process, cannot be taken during the initial phases of the design, the longer it takes to reach the final decisions, the more expensive and protracted the process will be. The designer needs to detect the problems in the first phase for an early validation of the design. The simulation tools are sufficiently accessible to allow conducting comparisons between the basic design alternatives without a specialised knowledge of the simulation technologies that underlie the virtual analyses. 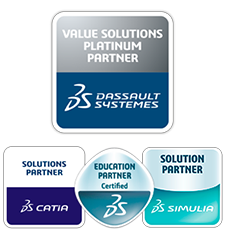 Tools such as SIMULIA’s within the 3DEXPERIENCE platform cover those requirements. 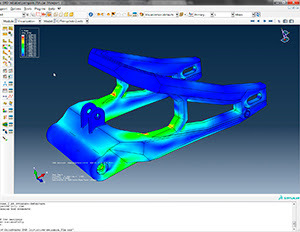 In that way, depending on the complexity of the structural problem involved, only the designer needs to participate in a first phase; when required, finite element specialists and other experts will be able to access the platform and work collaboratively in further phases or progressively more complex analyses. © Principia Ingenieros Consultores S.A.
Principia is an independent firm of consulting engineers dedicated to the solution of problems in the applied mechanics area and to the distribution and support of the SIMULIA and CATIA software products.